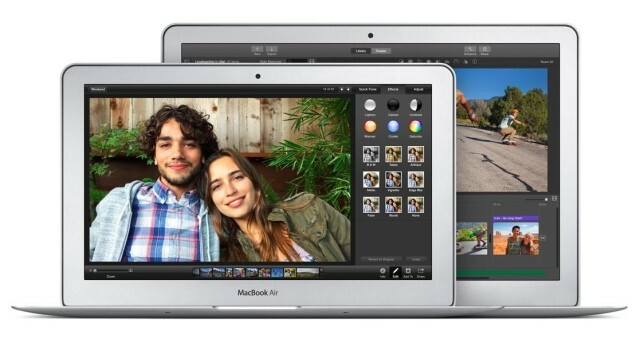 Apple could surprise us with 12-inch MacBook Air next week. The Apple Watch is expected to be the main attraction at next week’s “Spring Forward” event, but according to a new report, the long-rumored 12-inch Retina MacBook Air could make a surprise appearance at the Yerba Buena Center for the Arts. The sketchy rumor comes from the Michael Report, which claims its sources inside Apple say the company’s long-awaited update to the MacBook Air will be announced March 9. Obviously, we can’t verify the accuracy of the report. The Michael Report unearthed full details of the iPad Air 2 before the product’s announcement in October of last year, however, the publication also whiffed on some iPhone 6 launch details, including the name of the iPhone 6 Plus, and the Nexus 6. We’re not really expecting any hardware other than the Apple Watch at next week’s event, but Cupertino could surprise us. The last time the MacBook Air line was upgraded was April 2014, which was just a small spec bump, so it’s due for an update. Hardware leaks of the 12-inch MacBook Air have been scarce, although multiple reports have confirmed that Apple is working on the device. The new Retina MacBook Air will supposedly feature a fan-less design made possible by Intel’s next-gen Broadwell processors. It’s also rumored that the new device will only have one USB-C port and a headphone jack. This entry was posted in iRumors and tagged irumors, iRumorsnow, MacBook Air, Rumor, Spring Forward event. Bookmark the permalink. Apple Pay fraud already ‘rampant,’ expert claims.